Corporate membership is ideal for companies who want their staff to be up to date with the latest news, standards, training and offers. Corporate membership features the full package of benefits and is often taken by Arboricultural Companies, Contractors and Councils. Who can join at this grade? Corporate membership is open to any Company or Organisation who want their staff to have access to the benefits of AA membership. Corporate membership costs just £333 per year, offering training and event discounts to all of your employees. Overseas members will be charged a small additional shipping fee included in their membership rate. AA Training Course Discounts – All of your employees will be entitled to Training Discounts on the whole calendar of courses on offer. With a wide ranging schedule of courses up and down the country, this is a great way of keeping staff up to date with the latest standards and training. Simply enter your membership number when booking our training courses to access substantial discounts. 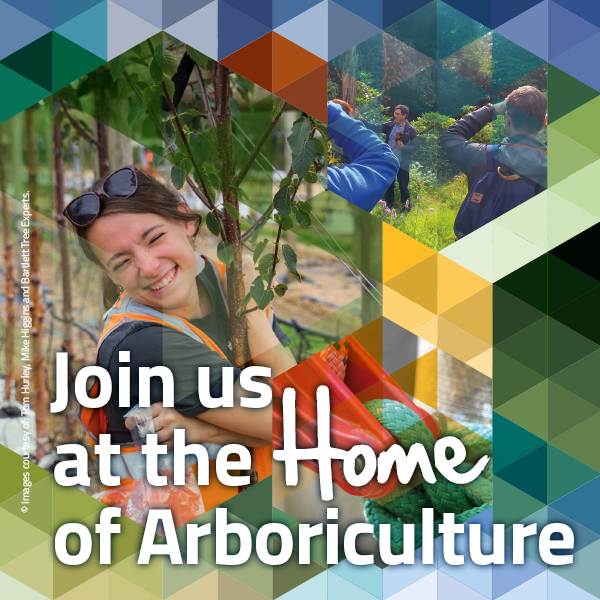 Free entry for two employees to our annual ARB Show which attracts over 4,000 visitors and currently takes place at Westonbirt, The National Arboretum. Featuring a wide range of tree care industry exhibitors, there is lots for you to see and do at this hugely popular national event. You can check out the latest equipment in the show ground area and free entry to the internationally renowned tree collection. The AA National Amenity Conference – Discounted entry to our annual conference which features a host of influential speakers from around the globe, trade exhibitors and is great for your CPD and meeting new contacts within the industry. Monthly eNews bulletins – the Association's monthly e-mail newsletter is a concise digest which keeps you up to date with the latest Arboricultural Association news along with important cross industry developments and offers. Quarterly ARB Magazine – Our official member publication, featuring the latest in cross industry news, study, research and collaboration, the magazine will keep students informed in the world of amenity tree care along with our other membership publications. Arboricultural Journal – the Aboricultural Association Journal is a valuable resource to practicing and studying arborists. As a Corporate member you will receive two copies of each of the latest issues throughout the year. Corporate members and their staff are all entitled to make the most of the varied course content on offer at significantly discounted member rates. Membership Discount Card – A membership card entitles you to some fantastic offers from a host of suppliers in the industry. From clothing to software and even hotels, there’s plenty of perks for all our members! Access to FREE advice from Arboricultural Association Technical Officers – as a member you are entitled to FREE advice from our technical officers who are on hand to advise you on anything from TPOs to health and safety and best practice. Does this count towards membership/grade progression? Corporate membership does not count towards progression through the membership grades, but gives staff access to the essential career progression resources at a significantly discounted rate to give them a valuable tool in advancing and increasing their Arboricultural knowledge and awareness. The grade structure is linked to the UK’s Qualifications and Credit Framework so staff can join or move up to a grade appropriate to their qualifications and/or experience. Membership renewals take effect from 1 January and last until 31 December each year. Corporate members must follow our professional code of conduct. How can I demonstrate my membership? After your Corporate membership application is confirmed you’ll receive your welcome pack which will include your Membership Card for the year. How will this help me in the industry? AA Corporate membership has many benefits including professional recognition. Your customers will see membership of a professional association as a demonstration of your commitment to standards, skills and knowledge. Corporate membership will mean that your employees have the best opportunity to stay up to date with the latest news, standards, training and CPD opportunities via e-news, e-bulletins and The Arb Magazine. Training discounts and discounts from member benefits catalogue suppliers (LINK) are also a huge advantage to any organisation. Branches, networking and contacts – By joining you automatically become a member of your local branch. Branches are a way of interacting with industry professionals and arborists near to you and they also hold events throughout the year. Committees and working groups – The AA has a strong structure of committees and working groups made up of volunteers – they work to improve standards and the recognition of the industry as a whole. As a member you’ll be able to contact the chairs of the groups with ideas, queries, or even consult and be a part of committees to help influence their objectives. Finally your membership will enable your personal development and be part of the progression of a thriving and prosperous industry. Are there any additional options to my membership? Utility Arboriculture Group (UAG): All our members are also entitled to receive FREE ‘virtual UAG membership’. Virtual UAG members are kept up to date with the latest industry standards and minutes. Members can also choose ‘full UAG membership’. The Utility Arboriculture Group aim to raise consistency in the level and standards of both tree work and safety nationwide, and its members will have access to minutes and the opportunity to be part of consultation on significant issues. Members will be kept informed on the latest significant issues, health and safety bulletins and latest standards and be able to vote on elections to the UAG Core group. If you have a passion and an interest in raising and advancing tree work standards you can even join the UAG Core group or Arborists Working Group and Consultants Working Group, by nomination, to help progress and steer their initiatives and work.